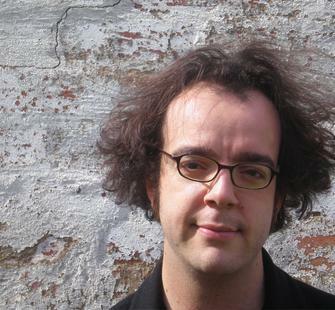 Anthony Pateras (b.1979) is a multidisciplinary musician from Melbourne, Australia. He performs on piano or analogue electronics, and composes works for ensembles, orchestras and soloists. His main projects are an electro-acoustic duo with Robin Fox, the prepared instrumental trio Pateras/Baxter/Brown, piano/drums duo PIVIXKI, and PoletoPra with visual artist Marco Fusinato. Pateras has received performances from the Los Angeles Philharmonic, Australian Chamber Orchestra, Speak Percussion, Percussion Group The Hague, Melbourne Symphony Orchestra, Vanessa Tomlinson, Flux String Quartet and Ear Massage Percussion Quartet amongst others. In 2004 he received a honourable mention at the Gaudeamus Music Week for Twitch, which he conducted. In 2007 he was awarded an Ian Potter Composer Fellowship to compose four new works. In 2009, a retrospective of his works for percussion are featured at the Melbourne Recital Centre and Queensland Music Festival. He works internationally and has collaborated with musicians The Necks, Paul Lovens, Jérôme Noetinger, Thomas Lehn, Natasha Anderson and Anthony Burr; conductors Brett Dean, Markus Stenz and James McMillan; and filmmakers Pia Borg, Ben Hackworth and Eron Sheean, winning Best Soundtrack for Sheean’s Bing at the 2003 Dresden Film Festival. Pateras has guested on albums by Oren Ambarchi (Southern Lord) and Christian Fennesz (Touch) and his prepared piano work also featuring on the soundtrack for Wolf Creek. His sound works have exhibited in group shows at San Francisco MOMA (Variable Resistance), Centre Pompidou (écoute), and the Melbourne International Arts Festival (21:100:100). He holds a Bachelor of Music from LaTrobe University, a PhD from Monash University, and intermittently teaches composition at the Victorian College of the Arts, and the Western Australian Academy of Performing Arts. Pateras’ music is currently released through Tzadik (New York) and Editions Mego (Vienna).